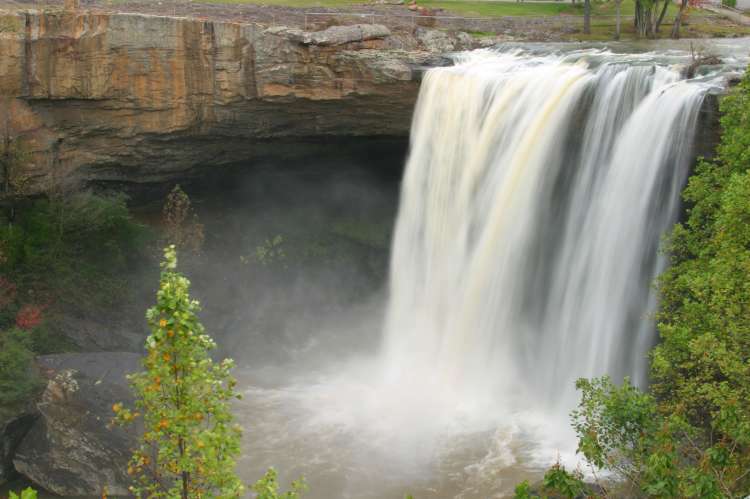 A favorite attraction at Noccalula Falls Park is their C.P. Huntington Train. 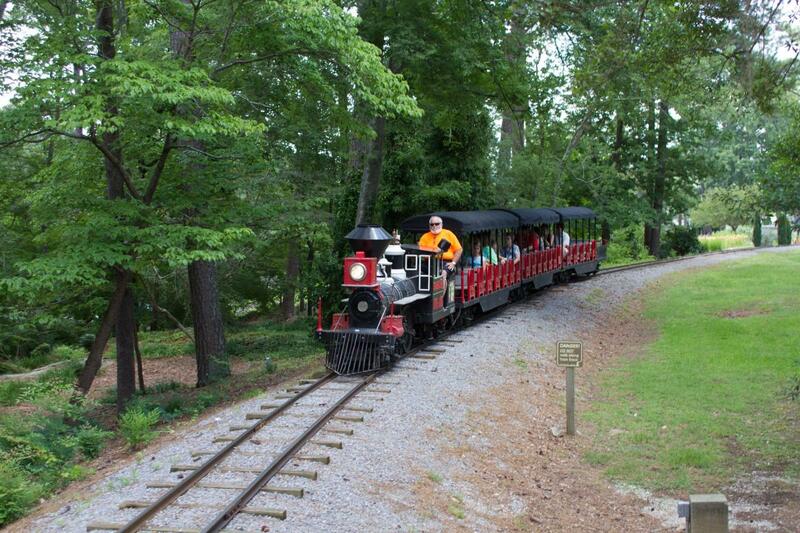 The train operates daily and takes visitors on a scenic one mile ride in and around the park. 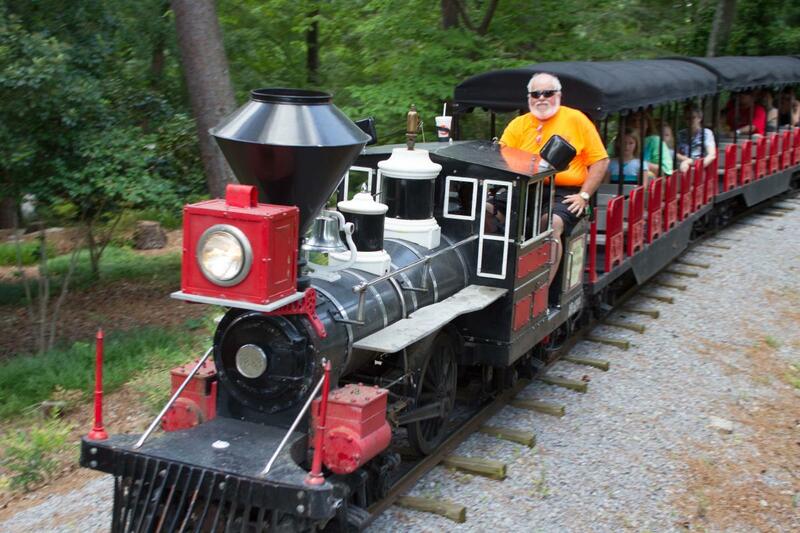 Unlimited train rides included in park admission. Park also includes a 90-foot waterfall with canyon, nature trails, botanical garden, and pioneer village, Call for hours. Admission.